Cancellations. We understand that plans can change. Please provide notice to cancel in writing, 30 business days before scheduled event, to avoid paying the full price for rented space. Deposits. A 50% deposit is due two weeks after booking the event. All deposits are non-refundable. Deposits will be applied toward the full rental fee, which is due in full, two weeks prior to the scheduled event date. 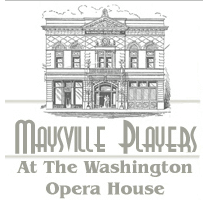 Payments are accepted in cash, check or money order, payable to the City of Maysville. Security Deposits. A security deposit of $150 is required one week prior to the event. This deposit will be returned within two weeks after the event, less the cost of any damages or repairs. Decorating for scheduled events is permitted, subject to management approval. Please do not use tape, wire, or screws to attach decorations to walls, floors or doors. Please note that open-flamed candles are not permitted in the Cox Building. Live entertainment is welcome and contracted separately with tenant. Entertainer is responsible for sound systems (set up and dismantle). On the rental contracted day, set up times and event times will be coordinated with facility staff. The facility will be open two hours prior to the start of the event. For security purposes, the facility is kept locked when not occupied. Staff must be on premises during scheduled set up and event times. All equipment, guests and decorations must be removed from the facility after the event, on the same day, prior to midnight. Our staff will create a floor plan and table set up for the event, with seating to accommodate the final guest count. Plans will be available for approval one week prior to the scheduled event. Changes made within 48 hours of the event will incur an additional charge of $150.00. For safety purposes, all youth (under the age of 18) invited to your event must be supervised at all times. The Cox Building is a non-smoking facility. Food or beverages (including alcohol) may not be brought in from the outside due to city, state, health and liquor laws. All food and beverage services (including alcohol) must be provided by approved caterers, licensed with the Commonwealth of Kentucky and the City of Maysville.